More being done to cut health care costs? | Lewis & Ellis Inc.
More being done to cut health care costs? One of the biggest issues in the country over the past few years, for everyone from lawmakers and businesses to individuals, has been the rate at which costs for health care have been rising. While the Patient Protection and Affordable Care Act has had a number of positive effects on treatment and insurance costs, experts still contend more needs to be done to ensure the rate of these increases slows further. The issues around rising health costs have come to such a head that a number of the nation's best-known employers - the e-commerce titan Amazon, the multinational holding company Berkshire Hathaway and the finance giant JP Morgan - recently came together to form a group designed to bring down those expenses. According to CNBC, that effort will begin with the costs for the roughly 1.2 million people these companies collectively employ, specifically with a focus on both lowering costs and improving care outcomes for those workers. Experts believe the initiative could pay off in a number of ways, and not just for the three major companies involved, the report said. Taking steps to do this with the significant clout these companies wield could be beneficial for a number of reasons, investor Dave Chase told CNBC. First and foremost, by working internally, they will not need to waste time, energy and - perhaps most important - money lobbying alongside the significant market forces drug companies, insurers and massive networks of care providers. In addition, if these companies can use their own significant resources to change the landscape, the same principles might be able to trickle down to smaller companies that are likewise looking for some relief from rising costs, the report said. When companies can find ways to more efficiently deal with their workers' health care needs, they will be in a much better position to avoid rising costs, so that proof of concept can be vital. The cost of treatment remains a major concern for just about everyone involved in the health care industry. As recently as 2016, nearly one-fifth of the entire U.S. gross domestic product went to health care costs, equaling about $10,000 per person, and that number is only going to keep growing, according to the Harvard Business Review. No other industrialized country in the world spends even half that much on treatment, and even in more developing countries such as India, there has been significant innovation that has served to bring down costs in a number of ways. Experts believe that by mirroring some of the ideas seen overseas, prices could start to come down, but a number of impediments remain, the report said. For instance, there is a higher number of malpractice cases in the U.S., the cost of which filter back to consumer pricing. But other issues such as a lack of pricing transparency for care serve to keep consumers from finding the most affordable and reasonable treatment for their own needs on an ongoing basis. These conditions don't render innovation impossible by any means, but companies may need to be a little more agile in tackling the issues. The problems these conditions present manifest in a number of ways, but perhaps none are more pressing than the cost of keeping kids and the elderly healthy. As the federal government makes changes to the social safety nets like the Children's Health Insurance Plan and Medicaid as a means of curtailing costs (by simply avoiding them) the impact on kids across the country could be significant, according to a new study highlighted in the industry publication Pediatrics. Among the changes being made to CHIP and Medicaid is that families making a certain percentage of the poverty level could be declared ineligible for enrollment, the report said. If that number is reduced to even include families making just 200 percent of the federal poverty line, nearly 3 in 5 child hospitalizations nationwide would no longer be eligible for coverage, passing some $3.1 billion in health care costs on to low-income families, hospitals and private insurers. That, in turn, would likely be a net negative for care providers, insurers and patients, even if the goal of lowering the federal government's expenditures on health care is understandable. Instead, the authors of the study recommend shifting to covering more preventative care so that small health issues do not balloon into bigger, more expensive ones, the report said. "Lowering short-term costs at the expense of our most vulnerable patients is not the answer," the authors wrote. 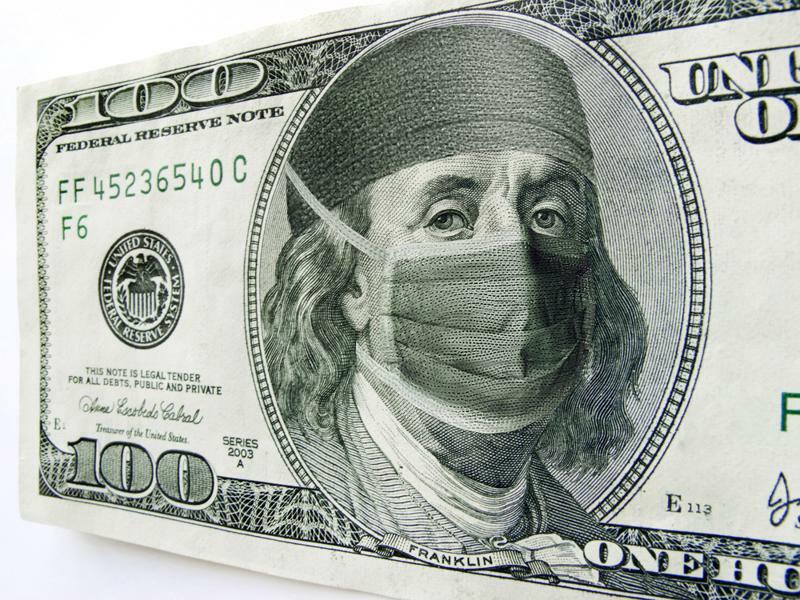 "How then do we address the unsustainably high costs of health care? As with so much of pediatrics, the answer may lie in prevention." Likewise, many seniors nationwide, as well as those approaching retirement age, may now be increasingly concerned that the potential for dwindling benefits under Medicare and Medicaid could end up costing them hundreds of thousands of dollars in retirement, according to personal finance expert David Rae, writing for Forbes. The average couple that's 65 today can likely expect to spend close to $300,000 on health care once they retire, for everything from preventative treatment to long-term care like living in a nursing home. And while some treatments are likely to be covered by Medicare or Medicaid, there may still be premiums whose costs can add up significantly, and these are issues that need to be planned for, the report said. Data suggests that nearly half of retirees say they ended up paying more in retirement for necessities than they originally anticipated they would need. When all involved in the health care system are able to do more to identify the drivers of costs and what they mean for consumers and companies alike, they may be able to come together on answers that work well for all involved. While there aren't likely to be a lot of easy answers, doing what's necessary to arrive at workable solutions could be vital to ensuring all involved can find sustainable systems that will improve health outcomes and bring costs down simultaneously.